I want to download all my contacts into the 6230. I see that it can receive up to 1.000 people, with several phone numbers and addresses (mail, street, etc. ), BUT UP TO WHAT THE MEMORY CAN HANDLE. I have 800 people with an average of 2 phone numbers AND the street and number. Does anybody knows if the phone would accept this much info? Good phone - but I have a problem with using the camera or accessing the gallery, message "Memmory full" but the card is empty also unable to access any of my files. Contact service provider sometimes appears?? Please can anyone help me with my problem? Do I have to reboot and how? 1- there's only 5 caller groups and i can't increase them, and why i can't make a separate ringtone for every user?? there's any help with that ? 2- that phone comes without games?? i got it free of games, but it doesn't make any problem to me, but just want to know if all 6230 are the same ! 3- my firmware V 3.17 and date 2004, and it doesn't read more than 128 MB MMC. 5- screen is low quality now.. it's pitty! I'm crazy about to change my mobile every month. 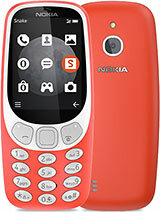 Now days I'm using Nokia 6230, it's realy a nice and smooth to use. Nokia puts so many benefits in such a small size. I preffere this to 6600 or 7610. Because I think a mobile phone sould be seen a mobile phone. i cant take pics wats wrong ? Hi guys, Im using N6230 for past 1 year n it has v 04.43 version, its very gud phone.. But now im facing sum problems, wenever i switch on bluetooth it dont switch off.. most of the time it refuse to switch on also.. is it bcoz of any virus problem.. 1s i had connected to internet thru bluetooth.. pls help..
can I install Ultramp3 at this phone? I just bought this phone off ebay does this phone have loudspeaker? 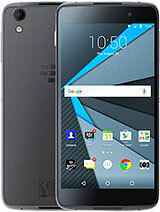 Wht is the max capacity of the MMC for this phone? A friend said it can support upto 2GB. Is this true. I have a 64MB card but it can record any video only for 4 mins. Is thr anyway I can extend the duration. Also is there a software by which I can use my mobile as a TV remote control.